Please read these frequently asked questions below for more information about Biometric Residence Permit (BRP). 1. What is a BRP card? 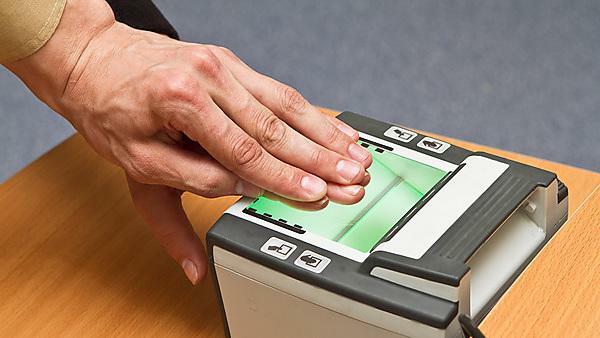 A Biometric Residence Permit (BRP) is a secure identity card which contains personal details and biometric information. It is your visa and is proof of your right to be in the UK as a student. They are only issued to those studying in the UK for more than six months. In the past, a student's initial Tier 4 visa was confirmed by a 'vignette' (a visa sticker) placed in the passport by the British Embassy/Consulate. The visa covered the entire length of their studies. The new process means that you will now be granted temporary permission to enter the UK on the vignette in your passport. The vignette will be valid for travel within 30 days of the proposed date of travel stated on your visa application. If you do not travel to the UK within the 30 day period, you will have to apply for a new visa. You can come to the UK up to one month before your course starts. 2. When should I collect my card? You must collect your BRP card within ten days of arriving in the UK. If you are collecting from a Post Office you should make collecting your card one of your immediate priorities on arrival. If you are collecting from the University, please visit International Student Advice (ISA), ground floor of the Nancy Astor Building. 3. How will I receive my BRP card? If you applied for your Tier 4 visa outside the UK and entered the code 2HE747 into the 'Alternative Collection Location' box on your online Tier 4 visa application form, your BRP card will be delivered to the University of Plymouth for you to collect. If you do not use this code, your BRP card will be sent to a designated Post Office, based on the postcode you used in your visa application. If you have applied for your Tier 4 visa inside the UK, as long as the International Student Advice team have submitted your Tier 4 visa application on your behalf, your BRP card will be sent to the University for you to collect. 4. What do I need when collecting my BRP card? the decision letter you received when your visa was granted. The decision letter is the letter the visa application centre will give or send to you with your passport and documents after your successful visa application. If it is sent to you by email, you should print out a copy and carry with you to the UK. You will need to make arrangements to collect this yourself, within ten days of your arrival in the UK. You will need to take your original passport and Home Office letter with you to collect this. You will then need to bring your original BRP and passport to International Student Advice (ISA) before you are allowed to enrol on your degree. 5. What should I do when I receive my BRP card? Check that all your details are correct. Contact International Student Advice (ISA) if there are any mistakes immediately and the team can assist you in having errors corrected. 6. What if I do not collect my BRP within ten days of arriving in the UK? Failure to collect your BRP within ten days of your arrival may result in you receiving a fine or cancellation/curtailment of your visa. 7. What happens if I am not able to travel to the UK within the validity of my temporary travel visa? If you do not travel to the UK within the validity of the 30 day temporary travel visa, you will need to apply for another temporary travel visa (a fee will be payable). If you are not 18 years of age at the time when you are required to collect your BRP card, please refer to the Home Office guidance on the procedure you need to follow. 9. What if my BRP card is lost/stolen? Report it to the police and obtain a police/crime reference number. Report it to the Home Office online. You must apply for a replacement BRP within three months. ISA team can help you with the application. Report it to the police and obtain a police report/crime reference number. Follow the instructions on the Home Office website to obtain a 'replacement BRP visa' overseas prior to return to the UK. You must apply for a replacement BRP within one month of your return to the UK. ISA team can help you with the application. 10. What will the University do with my BRP when it is received? The Home Office (UKVI) have imposed strict security requirements about the storage and distribution of these BRP cards. Only certain members of University staff are permitted to handle BRPs. A copy of your BRP card will be scanned onto your student record in line with Home Office requirements. 11. What should I do if I have more queries about the BRP process which aren't covered on this website? Please email International Student Advice for further information and advice.